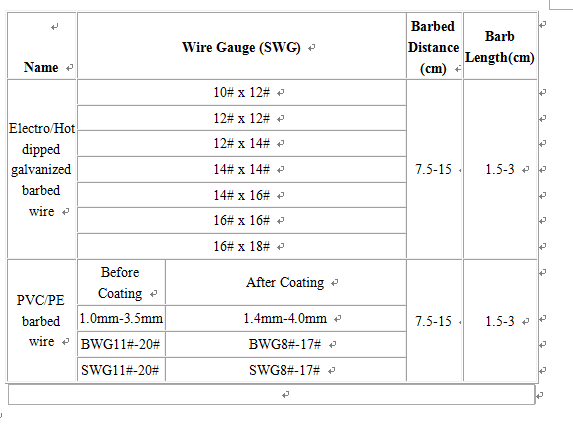 Product categories of Barbed Wire, we are specialized manufacturers from China, Military Barbed Wire, Galvanized Barbed Wire suppliers/factory, wholesale high-quality products of Prison Barbed Wire R & D and manufacturing, we have the perfect after-sales service and technical support. Look forward to your cooperation! Barbed Wire is made with high quality low carbon steel wire with the automatic twist machine. It is commonly used in grass field edges, railway, high way, prison and the privacy fields for separation. Barbed wire consists of line wire and barbed wire. Generally, line wire gauge is larger than barbed wire. Below data, the former is line wire; the latter is barbed wire gauge. * Galvanized can be electric galvanized and hot dipped galvanized common strength and high tonsil ones . Application: Barbed Wire is also named Barb Wire, it is widely used by in military field, agriculture, prisons, detention houses, government buildings and other national security facility; Barbed Wire is also used as fence for cottage and society fence, and other private buildings. 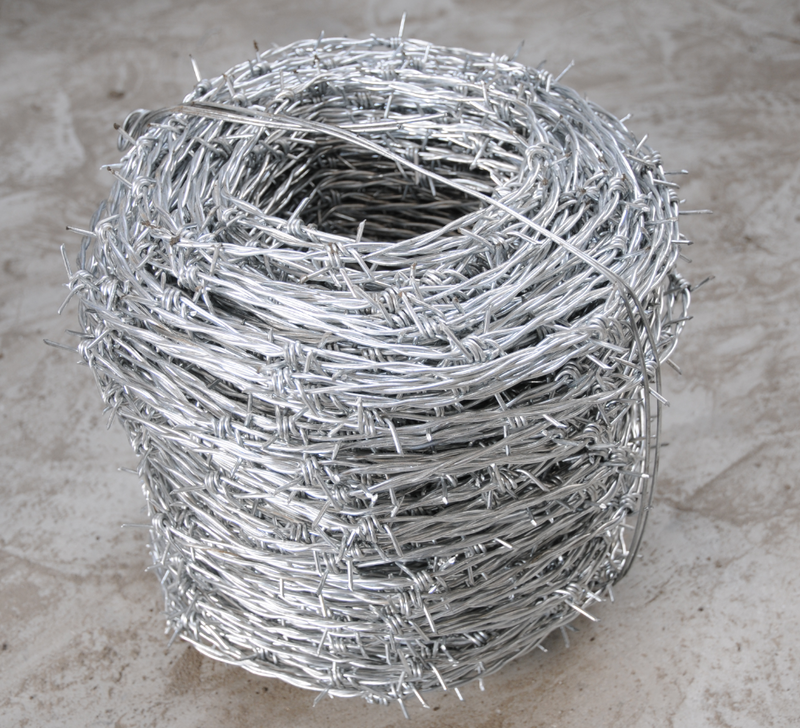 Barbed Wire Price Per Roll is very cheap,and have heavy Weight Of Barbed Wire,such as Barbed Wire Fencing.